This area is down for maintenance. Please send an email to the broker if needed. Due to multiple offices, many properties and agents and employees, this area of the site has been created for you to provide feedback to the appropriate person and department. We want to assist you in receiving a fast solution or response toward correcting a potential problem, or answering a question. Please provide your question, and any positive or negative feedback. Please be as specific as possible. You can simply list your question as well. Your feedback will be delivered immediately to the recipient via wireless e mail for instant communication. Since you are reading this you are obviously an on line user. Lastly, if you choose the on line versions below, please remember, you can enter your feedback anonymously if necessary. This website system serves multiple companies. A representative will follow-up soon. Showing Comments On A Listing - Showing Of A Property – Instead of having the listing broker telephone you, please provide feedback on the showing of our listing. Additionally, you will be entered in a drawing for giving us your comments. Your professional opinion and feedback will be delivered to the client as well. Appointment – If you need to set an appointment with one of our staff, agents, or loan officers, please proceed so a designated time can be reserved for you. This is also where you can reserve a conference room at one of our locations. Availability – If a listing is active in the multiple listing service it is available. If you want to check a specific property, please submit the information below. Broker On Duty - If you have a question, for an agent in their designated market please enter in the information below so it can be answered as soon as possible: You check availability, features of the property, etc. Real Estate Brokerage Department – This area is for a complaint, comment or question in regard to an agent or broker. REO/Foreclosure Department – This area is for feedback to the foreclosure marketing division of WeblistingBroker.com. Mortgage Department – This area is for comments or questions in regard to a Mortgage Services employee or loan officer. Interview/Employment Opportunities - This area is for people who have been involved in the hiring process. Under Contract Property - This area is for the closing department to receive an up date on a transaction that is under contract and scheduled to close. Corporate Office - Please provide feedback directly to the owners and affiliated companies on any issue. Party/Meeting Invitation - If you have recevied an invitation to an event, please respond and R.S.V.P. here. Property Preservation & Maintenance Problem - Please provide feedback regarding a property problem here. 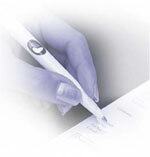 Accounts Payable/Receivable - Submit your question about an invoice, payment or check here. Web Site - Use this area to provide feedback regarding our web sites. Miscellaneous - If you do not see your category listed, use this area to provide feedback. If you have received an invoice, a check, or have a question about a payment you are due or one that you owe us, please submit your comments and questions here. This includes questions on pay checks, commission checks , rent payments, mortgage payments and other bills. If you are looking for a commission check or are a contractor, submit your question here for a status. to do on your behalf?